Last month we originally covered Turtle Beach’s new Atlas series of PC headsets and now Turtle Beach has announced their availability in retail as well as details about the product’s development. 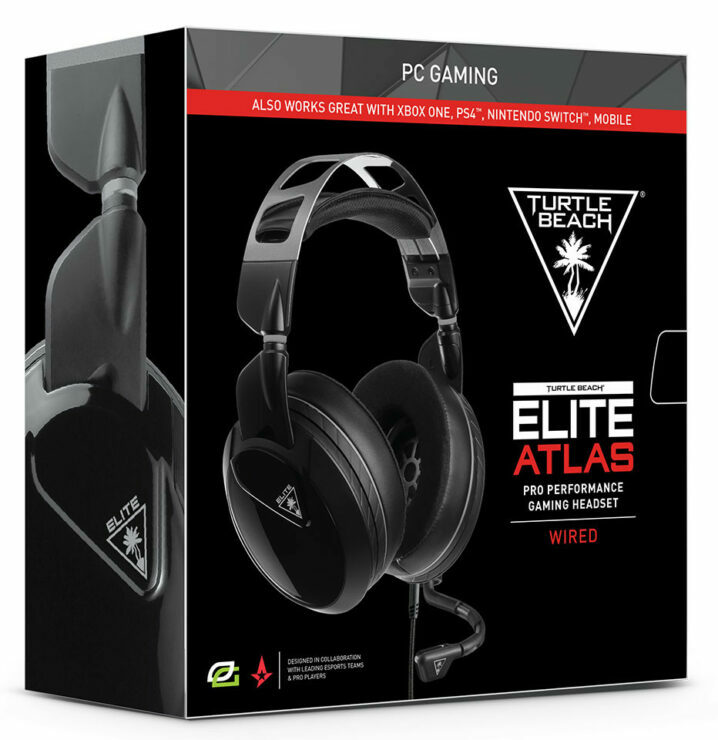 Designed in collaboration with leading esports teams, including Astralis, OpTic Gaming, and the Houston Outlaws, Turtle Beach’s Atlas line features three different models, including the Elite Atlas Pro Performance PC Gaming Headset, the powerful Atlas Three Amplified PC Gaming Headset, and the versatile Atlas One PC Gaming Headset. “We worked with some of the best pro gamers in the world to make sure our new Atlas line delivers PC gamers the superior audio performance and comfort Turtle Beach is known for, Turtle Beach’s success is rooted in our ability to innovate and offer a broad portfolio of products designed for all types of gamers, from professional competitive esports athletes to those just getting into gaming, and that’s what we’re now bringing to the PC market with our Atlas headsets. We knew we needed more than just a single offering, so we built the Atlas lineup to cater to the various types of PC gamers out there – whether they’re shopping based on specific features or budget. Juergen Stark – CEO, Turtle Beach. Finally what separates the headsets from one another is the Elite has a metal headband and is designed with ProSpecs glasses in mind to enable ease with wearing both. It also features magnetic memory foam ear cushions with fabric and synthetic leather to block out external noise. combine this with their Pro-Tuned 60 mm Nanoclear speakers to deliver surround sound (not explained if it is true surround sound or simulated) as we;; as their removable high sensitivity mic with their TruSpeak technology, and if there is one thing I think Turtle Beach is known for since the Xbox 360 day’s it’s their Mic quality. As for connectivity, it uses an included 3.5mm jack and PC-splitter cables to connect to any PC setup. 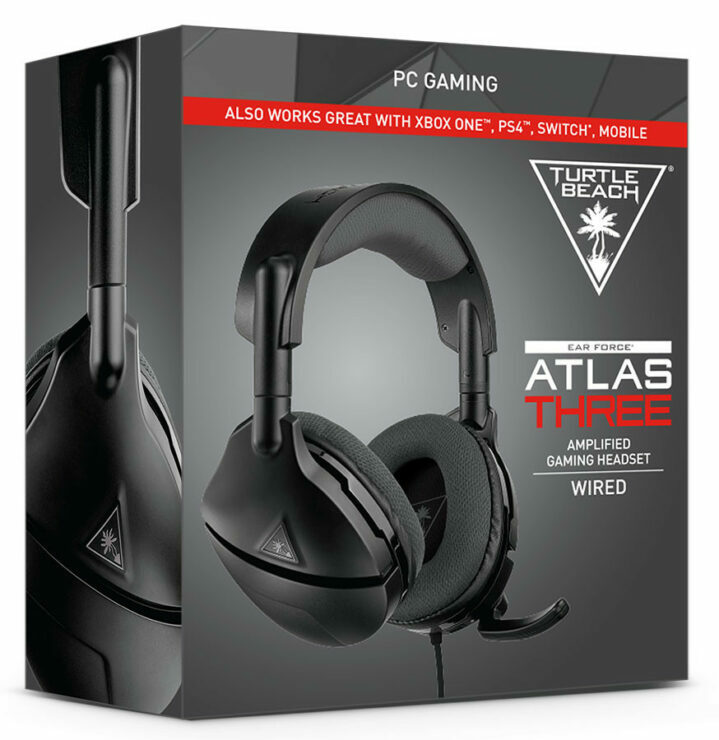 The Atlas Three is wireless with a 40 hour expected gaming life per charge and features 50mm speakers (not specified that they are Nanoclear so likely another type) as well as their flip-to-mute Mic for privacy whenever mom tells you dinner’s ready. This headset also features a metal-reinforced frame with their ProSpecs glasses as well as a breathable fabric wrapped headband and memory foam ear cushions. Finally, it features Variable Mic Monitoring which allows you to hear the and adjust the volume of your voice to avoid being too loud or quiet for your teammates. 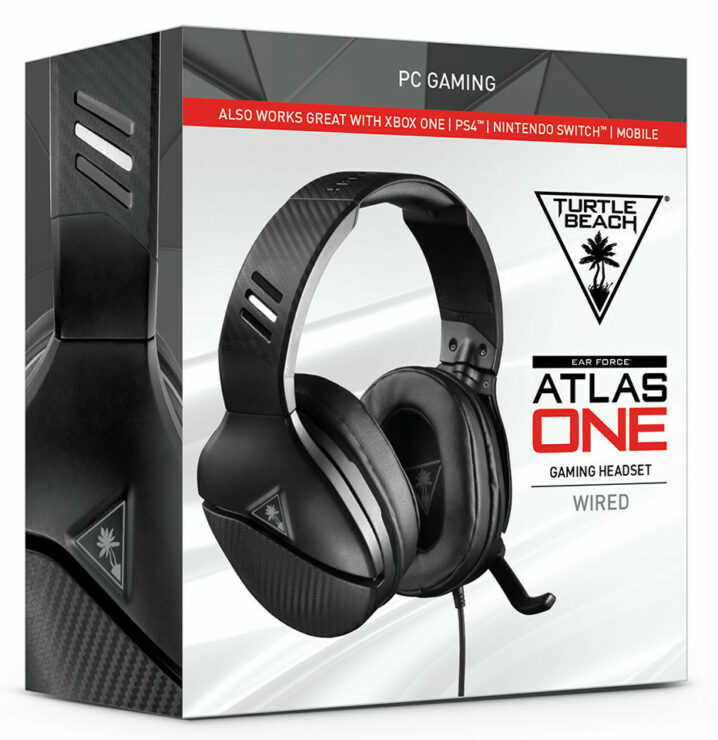 The Atlas one finally features 40mm speakers as well as a flip-to-mute mic, it is designed to be lightweight and has a metal-reinforced headband which like all other ones is designed to be easy to wear with ProSpecs glasses as well as memory foam cushions for longer Doritos and Mountain Dew fueled gaming sessions. The Turtle Beach Elite Atlas is available now for $99 on Amazon, the Turtle Beach Atlas Three is Available at Best Buy for $85, and finally the Atlas One is available for $50 on Amazon.